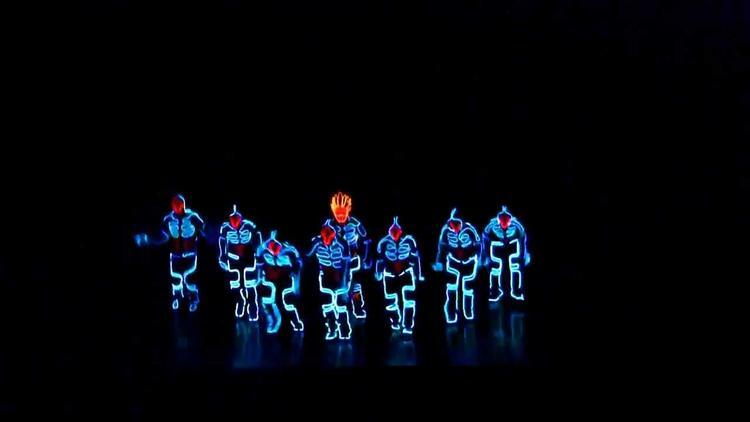 Japan’s Wrecking Crew Orchestra performs an innovative light dance in uniforms like those in the classic science fiction movie Tron. I see the performance as a celebration of science and technology, of the contemporary moment, and a rejection of the dead hand of tradition; and I therefore read it as highly political (see below). This version is better quality than the one that went viral, showing the colors of the costumes better. Since Tron is being taken as the inspiration here, it is worth recalling that the iconic costumes were designed by Jean “Moebius” Giraud, an epic French cartoonist, who also did storyboards for the film. His style influenced the French electronic-music duo Daft Punk, who went on to do the score for Tron Legacy. Giraud was also a major influence on Japanese Manga comic book art. Tron costumes and Manga have some of the same design roots, making it natural that the Wrecking Crew Orchestra appropriated this style (and perhaps they were influenced a bit by Daft Punk, as well).